A speculative home builder on the West Coast discovered to his chagrin that the market in his local area was inundated with homes very similar in style and price to those he was building in large numbers. There was both a general glut, and a specific one related to this company. As his lender began to point out, an inventory level that has escalated out of control presents severe cash flow problems among a variety of other concerns. The lender was also quick to point out that the builder was in jeopardy of defaulting on construction loan interest payments a couple of months down the road if he did not begin selling some of his inventory–and soon. an inability to revise product in terms of plans, elevations, and prices to meet buyer demands. Once a builder has determined the existence of increasing inventory levels–and their cause–it is time to stabilize the situation. Selling off an old unit for every new unit constructed is a bare minimum requirement. It is not wise to continue building simply to try to fund aging inventory interest payments out of new construction loan draws. 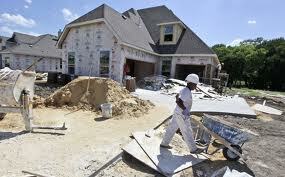 As older homes are sold, new construction can be considered. Due consideration includes understanding the problems that led to former inventory level increases well enough to avoid the same errors in the future. In addition, an inventory reduction plan should be initiated immediately, making sure to target the oldest inventory with the worst gross margins first in any type of incentive offer. The use of incentives can be gradually lessened as the builder moves through the oldest inventory into newer inventory with better margins. Sales staff can be of great help in determining what may help to move homes. If qualified buyers are hard to come by, it may be advantageous to work with local mortgage lenders and offer a program for qualifying buyers at lower monthly payment levels in the early years of a home purchase. Also, it is always helpful to walk all inventory and make lists of all items that need to be repaired, replaced, or cleaned up. Finally, a builder can prevent uncontrolled increases in inventory levels by performing more careful, thoughtful research, making revisions to product as soon as buyer tastes are known to have changed, and offering ongoing, automatic incentives for aging inventory to be sold. It is often helpful to “re-research” current projects to make sure that the original research findings remain valid and informative. Periodic product updates and revisions are necessary even in a stable, conservative market. Buyers are always looking for small things that make one home purchase better than another. By catering to buyers’ particular tastes and requests, a builder can offer a better home and still make money. Even if you are not in the homebuilding business, but in some other business that has inventory, these principles are important to observe. Think through ways to reduce inventories–better yet how to prevent them from ever becoming a problem!